Usually, when someone gets the urge to connect with nature, they might go camping for a weekend or book a few days in a log cabin. Not this couple! 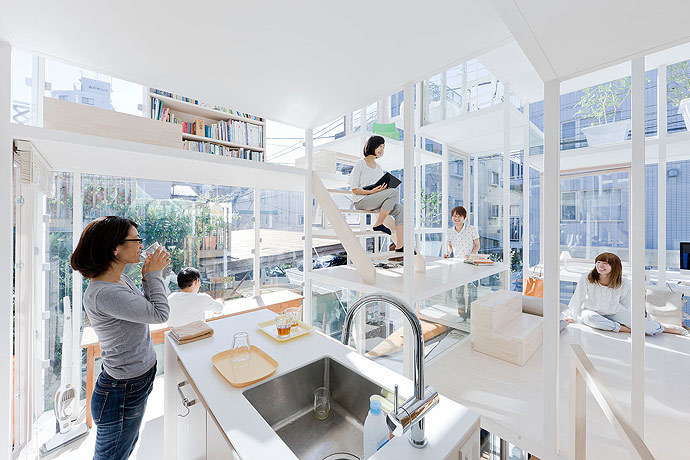 A family in Tokyo, Japan wanted to be able to connect with nature, each other, and the outside world in a very unique way…and their home has caught the interest of thousands. Inspired by the branches of a tree, this home is 914 square feet and is layered in a way that makes it feel bigger than it actually is. 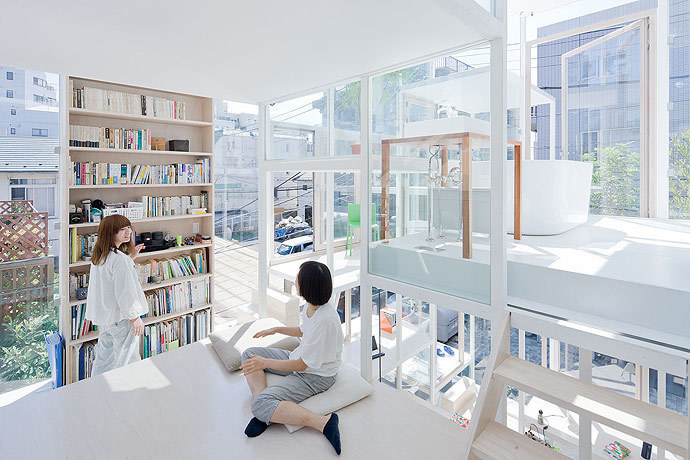 The home boasts 21 levels dedicated to cooking, reading, lounging, bathing, hygiene, a small garden, a work station, and many others that can easily convert to whatever they need to be used for. 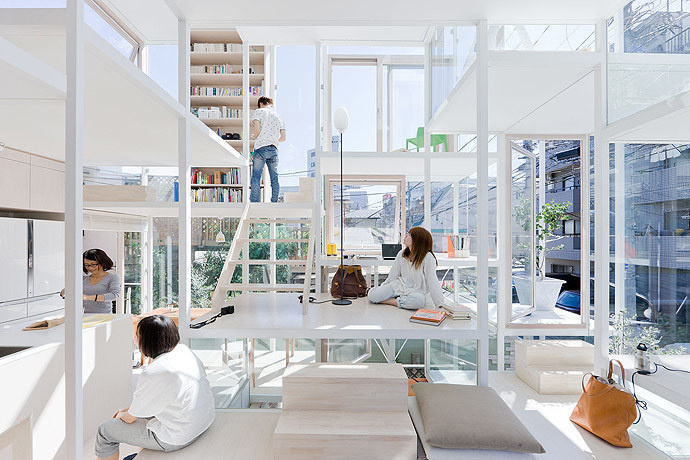 Connected by stairs and walkways, the different levels can simultaneously make the home feel isolated and communal. Long curtains that block each section off can be attached as needed, and the family usually hangs them up at night. The design gives the home a lot of options. Usually, a home this small might feel cramped and crowded, but with so much open space to work with, the family feels happier by being so connected with the world around them. The view from the street isn’t as invasive as you might think, though. The different “floors” are staggered and placed to give the family a little extra privacy. While they aren’t hidden from view, they aren’t put on any sort of spotlight, either. 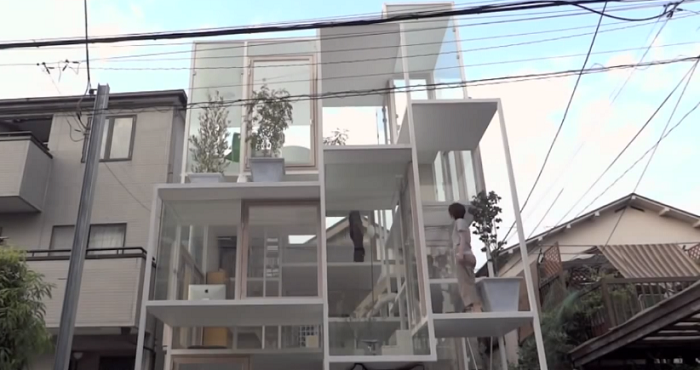 Could YOU live in this home? !